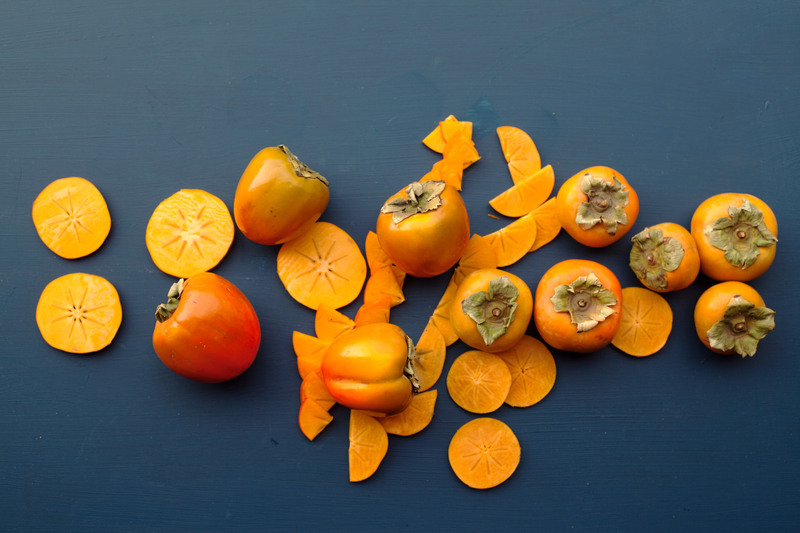 It’s finally fall and the farmer’s markets from Santa Monica to Silverlake are filling up with our favorite fall fruit obsession, persimmons! 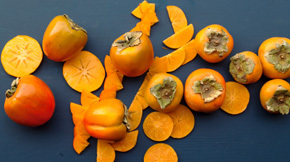 There are hundreds of different kinds of persimmons, but the two you are most likely to see here in Southern California are Hachiya and Fuyu. Both delicious with notes of cinnamon and brown sugar, they’re each perfect for fall recipes. However, with very different textures, when and how you eat them makes a big difference! Hachiya (left) and Fuyu (right) are both locally grown persimmons that have beautiful cinnamon notes, perfect for fall. However, the Hachiya’s texture is best when extremely ripe, almost jelly-like in texture, while the Fuyu can be eaten while hard, like an apple. How to tell them apart at the market or in your GrubMarket orders. 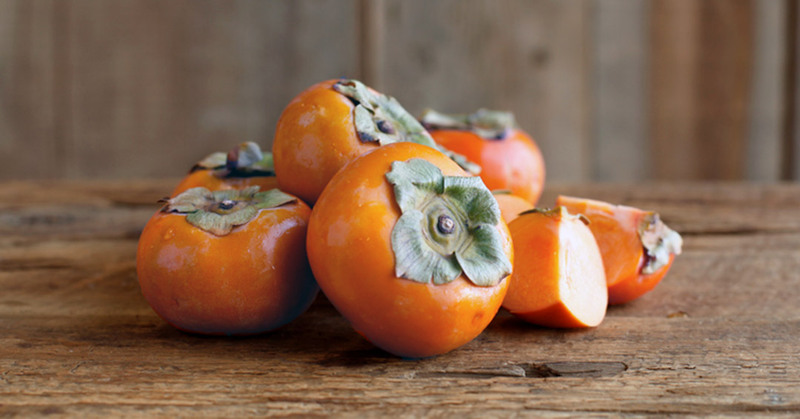 Hachiya Persimmons have an oblong acorn shape, coming to a point at the bottom. More round and generally larger, they usually have a deeper orange color. 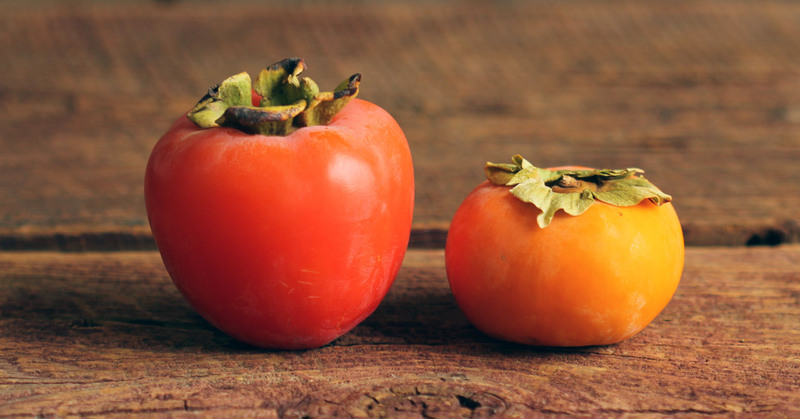 Fuyu persimmons are flat bottomed and look like orange tomatoes or mini pumpkins. Their shape is always flat on both sides and will be a slightly more yellow shade of orange than the Hachiyas. They should be eaten raw! Just remove the leaves, give them a quick rinse, slice them up or eat them right out of your hand, just like an apple! You can tell a Hachiya is ripe and ready to eat when they become extremely soft, like an over-ripe tomato. Their flesh will have a jelly-like texture. Eating them before they are ripe causes a very unpleasant dry-mouth, so make sure it’s ready! Although this jelly-like goodness is great on toast, most people enjoy Hachiya persimmons pureed and baked into sweet and savory pastries.